The Sip Advisor would like to think that he’s of at least average intelligence… that said, when I began to research what to cover during our visit to the island nation of Bermuda, I was at a loss. 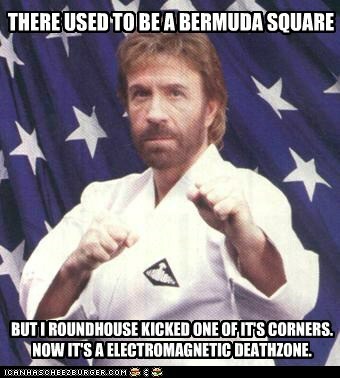 Then, as if a miracle occurred, I finally realized that the Bermuda Triangle (something I’ve been fascinated by for years) was in fact a Bermudan topic that could be written about. So, without further ado, let’s take a look at the fabled area, but don’t get too close… I wouldn’t want to lose any of you little sippers! 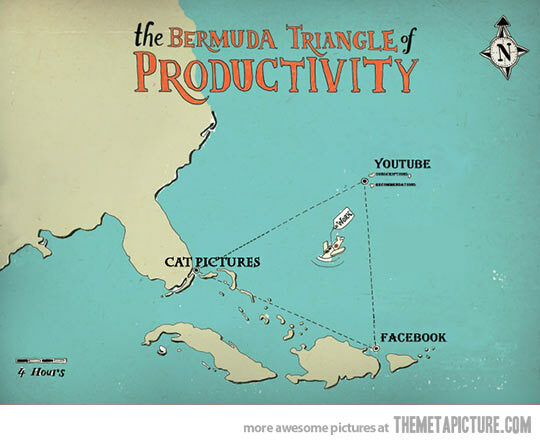 Also known as the Devil’s Triangle, the Bermuda Triangle’s boundaries were originally set as being between Miami, Florida; San Juan, Puerto Rico; and Bermuda, although these locations vary depending on who is covering the area. Among the theories attached to the phenomenon are compass issues; rough ocean currents; human error; pirates; inclement weather, including hurricanes and cyclones; masses of methane hydrate gas, which could cause a ship to lose buoyancy and sink rapidly; and even supernatural events, involving UFOs, aliens, and the lost city of Atlantis. Despite all the hullabaloo, the Bermuda Triangle zone is sailed regularly, including by cruise ships. Mrs. Sip and I love our cruises – the perfect blend of relaxation and activity – but I feel I would be a little apprehensive going through the Devil’s Triangle. Then again, the Sip Advisor has always been open to a dance with the devil! The very first recorded incident of trouble with the Bermuda Triangle occurred in 1918 when the USS Cyclops was lost on a trip from Barbados to Baltimore, Maryland. All 309 crew and passengers perished in the event. Following the Cyclops, five other vessels experienced the same fate. The first airplane incident to occur in the Bermuda Triangle happened in 1945 when an assembly of five TBF Avenger bombers all went missing. The mission, known as Flight 19 included 14 airmen. Even more tragic, the group sent out to search for the Flight 19 group also disappeared, this time with 13 casualties. Since then, four other aircraft have vanished, totaling 17 crew and 75 passengers lost at sea. Steven Spielberg used the Flight 19 incident in his movie Close Encounters of the Third Kind, speculating that the troupe met its end thanks to an alien abduction. Mysterious happenings relating to the triangle have also occurred on land. In 1969, two lighthouse keepers at the Great Isaac Lighthouse in Bimini, Bahamas, went missing and were never located. My theory is that they went for a long romantic walk on the beach and they are still walking to this day… that or some kind of murder-suicide plot. Fleetwood Mac and Barry Manilow have both released songs based on the Bermuda Triangle, while there have been a number of movies and even a mini-series based on the location. For thrill seekers not willing to actually enter the Devil’s Triangle, perhaps the theme park ride Bermuda Triangle at Sea World in Gold Coast, Australia may have been more up your alley. The popular attraction, which included rupturing volcanoes, spaceships and aliens, and a watery plunge (seemingly covering every possible explanation for the phenomenon) was unfortunately closed in 2010 and replaced in 2013. With my curiosity now satiated, it’s time to sit back with a nice drink and toast all the souls that lost their lives in the Bermuda Triangle. Join me, won’t you! 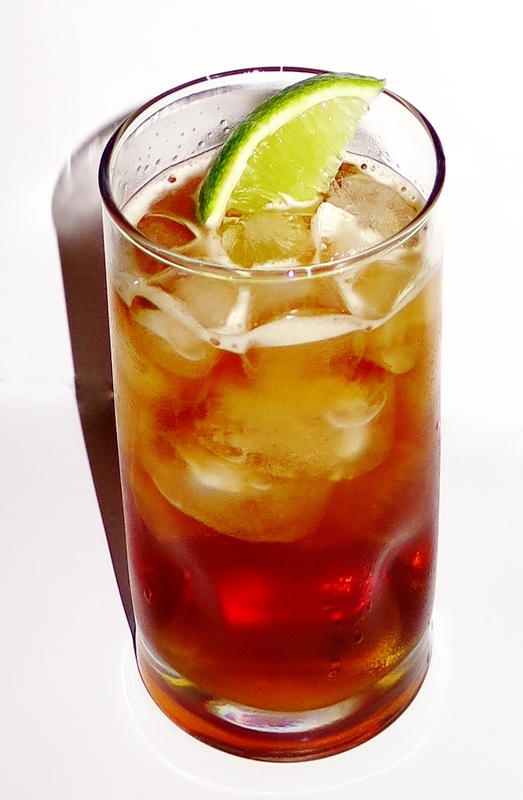 I had once vowed to never make this cocktail… or use Gosling’s Black Seal Rum for that matter, as the company holds a copyright on the recipe that goes against the unwritten bartender’s code of being able to share formulas without issue. Forgive and forget, I always drunkenly say! Usually when I see Ginger Beer among the ingredients of a cocktail, I automatically sub in Ginger Ale, but this time I used the legitimate version and even managed to locate an alcoholic orange-flavoured version of the product. All in all, the drink was quite tasty and I also enjoyed the Ginger Beer on its own. This entry was posted in Crazy & Classic Cocktails and tagged Alien Abduction, Atlantis, Barry Manilow, Bermuda, Bermuda Triangle, cocktail, Compass Issues, Cyclones, Dark & Stormy, Devil’s Triangle, Fleetwood Mac, Flight 19, Ginger Beer, Gosling's Black Seal Rum, Human Error, hurricanes, lime wedge, Methane Hydrate, Pirates, Rough Ocean Currents, Sea World, Steven Spielberg, UFOs, USS Cyclops by Daniel Wilson. Bookmark the permalink.